I wrote the first part of this quite a while back and, well, here is a second part. I decided to spell this out in detail because of an email correspondence with Rabbi Joshua Maroof. The test given in the gemara to distinguish genuine chilazon techeilet from that extracted from the kala ilan does not work, and indeed, cannot work, because they are chemically identical, assuming, as we do, that kala ilan is indigo. This would seem to rule out murex trunculus techeilet as a candidate. Yet, there are good answers which have been offered. For example, (a) we don't know the specific process by which they made the real and fake techeilet, and it could be that there was additives in the respective processes that led to different results under this test. Or (b), according to the Rambam's understanding of the gemara, any blue dye that will stay, rather than fade when washed, is valid for techeilet, so whatever kala ilan was -- it might have been some other unknown substance -- we know that modern murex trunculus techeiles does not fade in this way. (Edited to reflect the word tipa.) One might try (and some have) to make a diyuk that both are now identical, just like the people are identical, though they came from different sources, and that it is the source that matters. One would strictly need to do this for the other examples in the list, and for the example in the next statement in the gemara, regarding Ravina. And while one could do this for the money ascribed to the gentile, this is not necessarily so for the steeping of weights in salt, or (in the next example) entrails of non-kosher fish together with entrails of kosher fish. Yet, there are big names out there, upon whom you can rely, who find the evidence in favor of murex techeles compelling. And you can look into the give and take on this issue. I think it is important to establish this first, that you can rely on the shitta of the Rambam, above, or on major figures who paskened in its favor. This because what I am about to say is somewhat controversial, and one should NOT think that the only way to arrive at this conclusion in favor of murex trunculus is via my "controversial" method. This even though I believe that what I am about to say is 100% correct, both in reality and in the universe of pesak. I need to make use of the academic method of interpreting gemara. I will not mount a comprehensive defense and argument in favor of the academic method here. This is well beyond the scope of a blog post, to lay out and certainly to convince. But here is a slight digression to introduce it. I have heard this statement treated, either as a source or as a melitza, to indicate that one cannot argue with the Amoraim. Just as the Amoraim took it upon themselves to not interpret pesukim as the Tannaim did, but to analyze and decide amongst Mishnayot and Braytot, so too we are only to interpret the various gemaras and decide, using established rules of pesak, what the gemara is telling us and which, amongst the positions of Amoraim, is the one we hold like. However, while we may not argue with Amoraim, there was NOT a rule made regarding Rishonim arguing with Geonim (Rambam and Rif did this), or Acharonim arguing with Rishonim (the Gra and Shages Aryeh did this). This is indeed the position of certain major poskim, at least in theory, but I am not going to name them here so as not to get too engaged in controversy. This is certainly NOT the position of many in the chareidi world (some who maintain religiously that one is forbidden to argue on the Shulchan Aruch, which was written with ruach hakodesh, but even without getting to that point). But see here to begin exploring. It goes without saying that when evaluating a psak, one must factor in any discrepancy between his own knowledge and qualifications vs. those of the posek espousing the psak in question, and what such a discrepancy may indicate regarding which person is the one who is in error. Of course, it is possible for a pesak to be in error. There is a masechta of Horayos which discusses what to do when the Sanhedrin makes an error, and this was not just lehagdir Torah ulehadirah! Much of academic analysis of gemaras focuses on the original statement of an Amora and that there is a separate Savoraic (or later) layer which interprets it. We can often distinguish these layers by language (Hebrew vs. Aramaic), anonymity, and style of analysis. This setama de-gemara layer is post Ravina and Rav Ashi, and Ravina and Rav Ashi were sof horaah! And while statements from Amoraim are binding, later analysis, by Rishonim such as Tosafot or by Savoraim embedded in the gemara, are not. Whether or not we are empowered by the above statement, I am convinced that this is the truth -- the true meaning of this particular gemara. And it would be unorthodox to stand by a false Torah out of a false sense of humility or because a belief that the halachic system stands firm even by halachot which are known to be false, for it is a legal system rather than a system of truth. Now, saying that the Savoraic interpretation of the Amoraim is incorrect does not mean that we are saying that Chazal are idiots. Firstly, are we sure that we consider the anonymous Savoraim to be part of technical Chazal? But besides this, nobody is saying that anyone is an idiot. When analyzing a text, there are different derachim that one can take. For example, in Spain about the time of the exile, there was a derech of extreme iyun which focused on justifying every single hava amina on its own terms and learning the best local peshat in a sugya as opposed to a sometimes more forced global peshat which would harmonize multiple sugyot. When rabbonim familiar with this derech encountered Tosafot, who analyze sugyot globally and harmonize them so as to get a sometimes forced peshat, they were rather unimpressed. In modern times, there is Brisker lomdus, and not everyone is enamored with this style of learning. And if I were to suggest to answer a seeming setirah in the Rambam by pointing out that the text was corrupted here or there, based on manuscript evidence, someone propounding a competing Brisker chakira might be unimpressed. And different approaches are sometimes good in different scenarios. The setama degemara has a recognizable style, which often involves harmonizing statements, against the simple reading of either statement. This can be a useful and true derech, but that does not mean that it is the best approach everywhere. And, while Tosafot appears on the side of the gemara, and so the Rif, or Rosh might disagree -- and we can say the Rosh is right without calling Tosafot idiots -- , the setama degemara is embedded in the Talmudic text, and so psychologically, we think we are arguing on the gemara. This was a long enough digression. My reading of the relevant gemara of the tests to distinguish kala-ilan from genuine techeiles match present day reality. The problem is that people are reading the gemara together with the setama's harmonization. But unadorned, there is indeed no problem stemming from the test mentioned in the gemara. The relevant gemara is Menachot 42b-43a. I will work my way slowly through it. (k) Question (Abaye): How do you dye Techeiles threads? 1. To see if it finished cooking, we take some in an eggshell, and dye a tuft of wool in it. We spill out the dye in the eggshell and burn the tuft. 1. A dyed sample is Pasul (for Techeiles), the dying must be Lishmah, if the sample dye would be returned to the pot it would Posel all the dye inside. (n) Question: A dyed sample is Pasul *because* dying must be Lishmah (these are not independent laws)! (o) Answer (Rav Ashi): Indeed, the second law is merely the reason for the first, we learn only two laws. (p) Tana'im argue about the third law. 3. R. Yochanan ben Dehavai is Machshir - "U'*Shni* Tola'as" (we read this like Sheni, a second-hand absorption of red dye, the same applies to Techeiles). (c) Seforim and Mezuzos can be checked, we may buy them from anyone (the hide need not be tanned Lishmah). Now, this is precisely the metzius as it exists today! 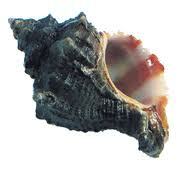 There is no way to test to distinguish between kala ilan, that is, indigo, and murex trunculus techeiles. As a result, we must buy it from an expert, who we can trust. Yet, there is another statement, by an Amora named Rav Yitzchak breih deRav Yehuda, who does speak of a test! There might be answers, such as what I said above, that something in production of kala ilan would show up in the test. After all, see above that for authentic techelet, they cooked it with dying ingredients such as alum. It could be that often, counterfeiters would use inferior ingredients which would show up in a test. We'll deal with this when we get to it. (d) Question: There are ways to check Techeiles! 1. R. Yitzchak brei d'Rav Yehudah would bring alum, fenugreek juice and urine of a baby 40 days old (alternatively - that was emitted 40 days ago) and soak the Techeiles in the mixture overnight; if the color was ruined, it is Kala Ilan; if not, it is Techeiles. 2. Rav Ada taught, one bakes it in a potent sourdough of barley; if the color improves, it is Techeiles; if not, it is Kala Ilan. (e) Answer: This is no way to check if Techeiles was dyed Lishmah (perhaps it was a sample, therefore we must buy it from an expert). Frankly, this is the classic style of the setama. It is an anonymous analysis, in Aramaic, which tries to harmonize two statements, namely the brayta on one side and the two Amoraim on the other. And just as the setama often does, it reuses an answer from elsewhere, preferably from a named Amora. Since the previous analysis had to do with teimah, a sample which was thus not lishma, so too here they suggest that it is אטעימה. And thus, the brayta was stating that there is no test for lishma (in the case of a sample, or in general), and therefore one should buy from an expert who knows that lishma is required, while these Amoraic were saying that there are tests to distinguish kala ilan from techelet. One could propose other answers to this contradiction in sources. For example, it could be that the technology in the time and place the brayta was authored had no test. Or, as I mentioned earlier, there might have been different processes involved in kala ilan in these different places, and the common fake techeles could indeed be tested by these methods. טו הַכּוֹתֵב סֵפֶר תּוֹרָה תְּפִלִּין וּמְזוּזוֹת, וּבְשָׁעַת כְּתִיבָה לֹא הָיְתָה לוֹ כַּוָּנָה, וְכָתַב אַזְכָּרָה מִן הָאַזְכָּרוֹת שֶׁבָּהֶן, שֶׁלֹּא לִשְׁמָן--פְּסוּלִין. לְפִיכָּךְ הַכּוֹתֵב אֶת הַשֵּׁם--אַפִלּוּ מֶלֶךְ יִשְׂרָאֵל שׁוֹאֵל בִּשְׁלוֹמוֹ, לֹא יְשִׁיבֶנּוּ; הָיָה כּוֹתֵב שְׁנַיִם שְׁלוֹשָׁה שְׁמוֹת--הֲרֵי זֶה מַפְסִיק בֵּינֵיהֶן, וּמֵשִׁיב. How in the world are we supposed to read this reinterpreted brayta? The gemara does not consider this introduced awkwardness. (f) Mar (a Chacham) bought Techeiles; it failed the test of R. Yitzchak, but passed the test of Rav Ada. He thought that it was invalid. (g) Rav Achai: Will you say that it is neither Techeiles nor Kala Ilan?! 2. If it passes, it is Techeiles; if not, it is Kala Ilan. (h) (Chachamim of Eretz Yisrael): The two tests complement each other. Regardless, that it can sometimes pass or fail one of these tests indicates to me that we are not testing the chemical composition of the techelet or kala ilan itself. And so, indigo and murex trunculus can be kala ilan and techelet, respectively. (i) Rav Mani (bought and sold Techeiles - he) was careful only to buy from experts (R. Gershom - and to perform the tests), like the stringencies of the Beraisa. (j) An elder: Techeiles merchants before you did so, and their business prospered. I would point out that the performance of the tests is Rabbenu Gershom's interpretation and intrusion into the gemara. In fact, no mention is made of the tests. Furthermore, the position of the brayta is introduced as a חומרי מתניתא, stringency of the brayta. Juxtaposed as it is in this particular place in the gemara, after mentioning the tests of the Amoraim, the simpler meaning is that despite the existence of these tests from Amoraim, whether we perform one test or two tests, he was machmir to only buy from experts, and not rely on chemical tests. This chumra would be that perhaps the author of the brayta knew of kala ilan that could pass both tests, or one of those tests. This once again reinforces the idea that the brayta is stating that there is no test for kala ilan. And this is from a named Amora, Rabbi Mani, rather than the anonymous setama degemara. This in addition to the problem I raised earlier, that the other items in the brayta also require lishma, and there would be no test for it, so why is the brayta making such a distinction. Summary: At the end of the day, the present reality matches that of the brayta. The brayta informed us that there is no test to distinguish kala ilan from techeilet, and we know that indigo and murex trunculus dye, after being subjected to the sunlight, are chemically identical. That Amoraim gave tests to distinguish them does not matter, since we see from incidents with named Amoraim that one or both of those tests sometimes failed, and it makes sense that this would be as a result of the other incidental dying ingredients being different in the elaborate dyeing process. Further, Rabbi Mana, who dealt in techelet, did not rely on these tests, but was stringent in practice like the brayta. That the setama de-gemara harmonizes everything is nice. However, we don't need to adopt a harmonizing impulse, and in this case, it leads to an unconvincing rereading of the brayta, because of the way Rabbi Mana took the brayta and because the other elements in the brayta also require lishma, and are thus untestable. To offer this interpretation might be chutzpadik, but I believe that it is the correct understanding of the gemara. And in light of other persuasive evidence that murex trunculus is the real deal, I am even more in favor of understanding this gemara in this manner. False humility, or incorrect belief in the fixed halachic system even in case or error, would lead one not to adopt this interpretation, and therefore reject the mitzvah deOrayta of wearing techelet. This is unfortunate. Luckily, we can rely on the various major poskim who hold that murex is the real deal, without appealing to my interpretation of this gemara in Menachos. Very nicely done, I appreciate your hard work in this area. With respect, I am very unconvinced by your arguments. Firstly, even if the techelet tests worked for the dye from murex trunculus it would not prove that the techelet is made from murex trunculus. It would just prove that murex trunculus isn't the same as kala ilan - but we knew that! But you have a further problem in that you identify techelet with the blue dye made from murex trunculus and kala ilan with indigo. These are chemically identical and therefore the tests should be useless. They should either always succeed or always fail. You ascribe the occasional failures and successes to different processing methods, but that's the same as saying the tests are useless. So unless the Amoraim were totally confused about the nature of tests and never thought of trying the tests on known good and bad samples, the fact that blue dye made from murex trunculus is chemically identical to indigo means that either the murex trunculus is not the source of techelet or indigo is not the same as kala ilan. Or both, I guess. techelet-source that are totally different to murex trunculus? It isn't like a fish; it doesn't appear and disappear; and so forth. If they didn't know where techelet came from - an extraordinary assumption - why spin these falsehoods? And finally, why, given the immense value of techelet, did the makers of argaman not continue manufacturing it? Firstly, even if the techelet tests worked for the dye from murex trunculus it would not prove that the techelet is made from murex trunculus. It would just prove that murex trunculus isn't the same as kala ilan - but we knew that! the point of this post was not to prove this definitively. i covered some of the proofs in favor in part i. the only purpose of this post is to respond to the famous argument based on the gemara regarding chemical tests, which I believe I have done. But you have a further problem in that you identify techelet with the blue dye made from murex trunculus and kala ilan with indigo. These are chemically identical and therefore the tests should be useless. as you note, I respond to this very point in my post. They should either always succeed or always fail. You ascribe the occasional failures and successes to different processing methods, but that's the same as saying the tests are useless. no, it isn't. it is saying that in the time and place that these tests were proposed, they worked! but rav avira (i think contemporary of ravina) and rav yitzchak (son of Rav Yehuda, thus earlier) were perhaps in different times and places, where different methods of forging were used. when it was discovered (by both Chachmei Baval and Chachmei Eretz Yisrael, as we see) that they sometimes worked and sometimes did not, they spoke about using them in tandem. This would then cover most or all of such cases and methods of fogery in place in those days. The Amoraim almost certainly did not know about atomic structure or molecular structure. They knew that it worked, or that it didn't. I am saying that different forgers adopted different methods in different times. so when each Amora proposed the test, it DID work. until it didn't. I don't see any reason to say that they were confused. Apart from this fundamental logical problem there is the question of identification. Murex trunculus was known to the Amoraim as the source of argaman. How could they have not known that it was also the source of techelet? that is not the focus of this post. maybe i will address other tangential points in other posts, or maybe not. the murex proponents presumably have answers to these questions -- either weak or strong answers. techelet-source that are totally different to murex trunculus? again, tangential, but partially covered in part i.
the gemara says dag, not fish. if Yonah's dag was a whale, would that prove to be a problem to you, because it is not, under modern scientific definitions, a fish? it doesn't appear and disappear; and so forth. the murex proponents explain each of these. for example, it DOES appear after certain intervals. but i'll ask you the same question i posed in part i. do you believe we have a masorah for bovines? how can you, when the gemara is clearly speaking of a different species entirely, where there is a direct path from the mouth to the liver?! do you believe we know what snakes and dogs are? how can you, when the gemara gives gestation periods for them which are entirely different?! and our snakes don't develop out of human spines! the gentile naturalists of their time. Galen, Aristotle, Pliny the Elder, etc., who said precisely these things. "If they didn't know where techelet came from - an extraordinary assumption - why spin these falsehoods? only select Amoraim were involved in production of techeles, as we see. the one fellow is cited and they have a shma mina on that basis. not every Amora knew everything about its production. even those who produced the dye did not do the fishing to collect the snails in the first place! in terms of identifying the species, they cited contemporary scientific sources. this is not 'spinning falsehoods'. it is relying on scientific experts, who in this case could have been wrong or fanciful in some details. it is a real pity that such insistence of fealty to these details would prevent fulfillment of a mitzvah deOraysa. I'll end with one detail mentioned in the previous post. They found tzitzis strings from the time of the Bar Kochba revolt in the Judean desert. So we KNOW the color and the chemical composition of either kala ilan or genuine techeiles. This is what I would consider pretty strong proof. That many other details fall in line is just icing on the cake. But if you are going to insist that every detail fall in line, especially as interpreted by Rishonim who never saw techeiles, but even without, then I don't believe that you will EVER find a species that matches. because no such species exists, or has ever existed. If we take the brayta at face value, that there is no possible chemical test, and the failure of these tests at face value, then this is positive evidence that kala ilan and techeiles are chemically identical. if so, then since we have physical evidence of at least kala ilan, along with a masorah as to its identity as indigo, then we have positive evidence in favor of murex as techelet. This is an important enough point that it should not be overlooked. "Was not a message once sent to Raba:10 'A couple [of scholars] have arrived from Rakkath11 who had been captured by an eagle12 whilst in possession of articles manufactured at Luz, such as purple,13 yet through Divine mercy and their own merits they escaped safely. " this is about students who were smuggling techelet and were caught by the Romans. but as I noted above, this is all tangential. there are a bunch of proofs for and against, and counterproofs, and so on. Apparently, it is not so clear that they uncovered tzitzit from Bar Kochba's time. What they found was a roll of thread died with indigo as well as "tolaat shani". The archaeologists conjectured that it was for the purpose of tzitzit, which is debatable. thanks. i'll have to revisit that, i guess. even that they had indigo or murex trunculus dye is impressive to me at the moment, given what they said about confusion of kala ilan and the tradition that kala ilan is indigo. i'll add that i think what i said above about intervals (regarding the brayta about features) was something i misremembered. but daga could apply, looking like the sea can apply when considered in its habitat, etc., etc., even though i don't think every detail will ever match. also, i linked to a recent shiur the other day from rav schachter. i am only 2 minutes into it, so i am not sure what he says. but it might be well worth a listen. After studying the passages in Menachos about the chemical tests I think I've come up with some truly interesting information, but I'm still working it through. More information once I feel confident in my conclusions. nice point. thanks. this might well be a strong disproof of murex. though radziner techelet has the problem that it isn't blue, except via a process that produces Prussian blue from any organic substance. all of this is indeed important, but orthogonal. whatever techelet is and whatever the other proofs pro and con -- regardless, the above post is intended to lay out what I think is the true peshat in the gemara, regarding the intent of the brayta and rabbi manna. Josh, the argument presented in that article is pretty weak. The author wants to refute an argument that snails like murex are collected, not "trapped", and therefore the Talmud in Shabbos 75a that discusses "trapping" chilazons proves that the murex cannot be a chilazon. The beraita in that discussion says someone who "traps a chilazon and squeezes [the dye out of] it" is only liable for one sin offering. It should be obvious that for this to be the case the trapping and the squeezing necessarily take place at the same time, so the "trapping" refers to someone grabbing the chilazon with their hands. This means that the author's pontifications about Aristotle and baited nets are pointless. I'll stipulate that someone using a baited net to collect murex may be "trapping" them - but that is entirely irrelevant to the point of the beraita. Surely everybody would agree that baiting a net, laying it on the seabed, and then drawing it up is at least one distinct melacha from anything that is done with the murex afterwards. We're talking about a process that takes hours if not more, and which would involve other melachot like carrying. The Tekhelet institute presents too many arguments like of this sort - "the texts say A, and A is a vowel that can sound like E, which is next to F. And many words have both E and F in them, and some even have all three together - like 'feature'. So since we have proved F, we have proved A." in truth, i really don't want to revisit every single proof or disproof here. maybe yes, maybe no. but ALL I intended with this post is to present peshat in the "testing" gemara as I see it, and as I would have explained it even had there not been a refutation raised from it. i don't really intend to revisit every difficulty, and every back and forth argument given by murex proponents and critics. I don't have the time to try to prove everything from scratch. rather, i only intended to provide what might be NOVEL to the discussion. as I wrote in my post one summary, There are a few popular objections and, while there are existing responses to these objections, those offering their answers are somewhat restricted to traditional methods of interpretation, which leads to what appear to be kvetches. Meanwhile, there are some straightforward answers, which I offer in these two posts. and that is what i think i have done here. even the murex proponents try to kvetch every detail, when my assertion is that it is not necessary. and the murex proponents grapple with the text of the gemara as it stands today, and I point out a different reading, based on methods of mechkar. I think that is novel enough. "The snail also secretes this substance when it is poked or physically attacked by humans. Therefore the dye can be collected either by "milking" the snails, which is more labour intensive but is a renewable resource, or by collecting and then crushing the snails completely, which is destructive." i don't know for certain. maybe i will delve into these questions in parts iii, iv, v, etc. Fair enough. I've enjoyed the discussion but I agree that these sort of minutiae are never going to lead anywhere. For one thing, if the Amoraim didn't learn the details of producing techeilet based on the Mishna and beraitot, we certainly won't. Whether the murex dye can pass a chemical test cannot be the determinant as to whether it is tekhelet. The murex snail, in my opinion, cannot possibly be the source. This being the case I could not possibly use it. I would feel better using the cuttlefish dye as it at least meets the descriptions found in Talmudic sources, and passes the chemical test...meaning that the color does not fade. It might change, as any blue would when immersed in an astringent yellow medium. But my understanding is that it is color-fastness, meaning the dye holds to the wool without bleeding out, that matters. i'm not actually very impressed by that Torath Moshe site in general, because they are WAY too subserviant to the Rambam, to the extent that they almost make their own religion. yes, the Rambam was a great Rishon, but so was Rashi, the Baalei Tosafot, the Rosh, etc., etc. the color-fastness is basically Rambam's position, so I would expect them to maintain that. but I wouldn't don't trust any one presentation or essay in a complex assessment like this. I don't find their argument that murex cannot be chilazon because of its role in producing argaman, for 'why would Chazal only speak of its role in producing techelet and not argaman'? this is an argument from silence, on the basis that it MUST be so important that they would make such an identification. further, their 'proof' that murex produces argaman is a citation from the Even Shoshan dictionary! *that* is a compelling proof that murex must be argaman?! the test of fastness in terms of cuttlefish dye is such that it really *fails* the test. it DOES fade. only by subjecting it to a process does it make it fast. but that same process eliminates ALL the actual cuttlefish dye, and *replaces* it with Prussian blue from a non-organic source! That is, the cuttlefish just provides the nitrogen but the color is produced from iron filings. Such would happen if you started with any organic material whatsoever. So while it might be fast, it does not meet the description of the gemara, since none of that substance is present. Meanwhile, murex dye as well is fast. it does not fade like cuttlefish dye does. In terms of meeting the talmudic descriptions, though, see my previous post. But if you want it to meet all Talmudic descriptions, the Talmud describes the chilazon as temunei chol, treasured buried in the sand. Cuttlefish don't exist in the sand. Cuttlefish are very common and were a common source of ink, while techelet was rare and expensive. Cuttlefish don't have an external shell while the Talmud describes cracking the shell of the chilazon to get the dye. How was Moshe saved from Pharaoh's sword? Why does Rashi omit the word milchemet? Westbound locusts -- was Rashi a Flat Earther? How did the chartumim turn water to blood? Who said 'I am the LORD'?